If you've seen 5GE on your phone's status bar, don't be fooled. What does the “E” stand for? So how did I get it on my phone? What phones are capable of receiving 5GE? I upgraded to iOS 12.2. Why am I not seeing it on my phone? I have an iPhone XR. Will I ever get 5GE? How fast are the speeds under 5GE? If I can get 5GE does that mean my phone will be able to receive 5G once it’s available? The 5G revolution is coming at some point, but AT&T wants Android and iPhone users to think it’s already here—even though it’s not. In short, if you see a new “5GE” icon in your status bar, you aren’t magically getting an upgrade to 5G. But there’s more to it than that. Here’s what you need to know. 5G is the next step in wireless communication, offering theoretical speeds that absolutely blow away LTE. Even at the outset, customers will see wireless speeds that match what they get over Wi-Fi—up to 1Gbps in some cases. That’s far greater than the 20-30Mbps capable over LTE. Actual 5G won’t arrive for a while, at least not in a nationwide capacity. Some 5G networks are technically live already, but they’re limited to home-based broadband and hotspots in certain areas of the U.S. So while the first true 5G phones should be arriving later this year, there won’t be anything close to nationwide coverage until at least 2020. AT&T’s 5GE network is merely a slightly faster LTE network. You’re still connecting to the same network as before, but through a combination of 4x4 MIMO and 256 QAM, some phones might see faster speeds in some areas. It’s basically marketing lingo. Simple answer: You updated. Whether it was iOS 12.2 on your iPhone or Android Pie on your Galaxy phone, your handset received the ability to display a new icon in your status bar: 5GE. 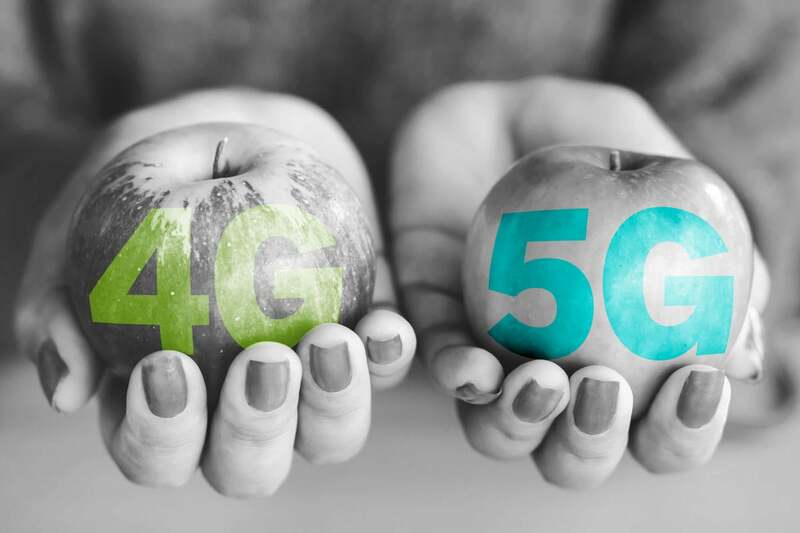 The iPhone XS and XS Max, as well any Android phone that uses 4×4 MIMO, are technically capable of receiving the upgraded 5GE signal. Either you’re not an AT&T subscriber or you’re not in an area where 5GE is active. The iPhone XR uses 2x2 MIMO so it won’t be able to take advantage of the faster speeds. Theoretically they could get as fast as 400Mbps, but AT&T says the average will be around 40Mbps. Nope, you’ll need to buy a new phone. But first someone will need to make one. There aren’t any iPhones or Android phones capable of receiving 5G signals, though a few are expected later this year. iPhone users will likely need to wait until at least 2020 to purchase a 5G-ready iPhone. This story, "AT&T 5GE on iPhone and Android phones: What you need to know" was originally published by PCWorld.